سواءً كنت مسافراً بغرض السياحة أو العمل, Colonial Lodge Taupo هو خيار عظيم للإقامة خلال زيارتك تابو. إن موقعه الجيد الذي يبعد 1 km فقط عن مركز المدينة يساعد النزلاء على الاستمتاع بمعالم المدينة ونشاطاتها. كما يمكن الوصول بسهولة إلى توبو رود اند تاكل, ستارلايت سنما, جريت ليك سنتر. إن الخدمات التي يقدمها Colonial Lodge Taupo تضمن للنزلاء إقامة مريحة. يقدم الفندق واي فاي مجاني في جميع الغرف, تسجيل وصول/خروج سريع, تخزين الأمتعة, واي فاي في المناطق العامة, صف السيارات لضمان الراحة القصوى لضيوفه. استمتع بوسائل الراحة الراقية في الغرف أثناء إقامتك هنا. بعض الغرف تتضمن تلفزيون بشاشة مسطحة, اتصال لاسلكي بالإنترنت, اتصال لاسلكي بشبكة الإنترنت (مجاني), حوض الاسترخاء, غرف لغير المدخنين لمساعدتك على استعادة طاقتك بعد يوم طويل. إن حوض استحمام ساخن, مسار جولف - ضمن 3 كم, التزلج على الجليد, صيد السمك, سبا هو المكان الأمثل في الفندق للاسترخاء وتفريغ طاقتك بعد نهار طويل. مهما كانت أسبابك لزيارة تابو، فإن Colonial Lodge Taupo هو الخيار الأفضل لإقامة مثيرة وممتعة. Beautiful quite, very clean and tidy unit. The owner Anthony was happy and extremely help. He went out of his way to make our stay wonderful. Highly recommend the restaurant The Mole snd Chicken, that Anthiny told us sbout snd booked for us. Well definitely be staying there again. I really love this place, clean and nice facilities. Some more very friendly. Our stay was very comfortable, clean and in excellent order. The staff were very helpful and offered some good discounted incentives to take advantage of. Recommend with every confidence. We'll be staying again for sure. Cheers gentlemen and thanks very much for a great stay! friendly staff,provided many useful helps and information. Cleanliness, Spacious & great hosts! Great, Like the rooms so spacious and clean & the host is very friendly and informative. Great location, Clean and comfartable. We chosed this motel because the location at the lake. The room was clean and good service, but the room quite small. The owner is very kind and willing to serve you. The bathroom very clean, but a little bit old. Wifi unstable..... Overall is Good. 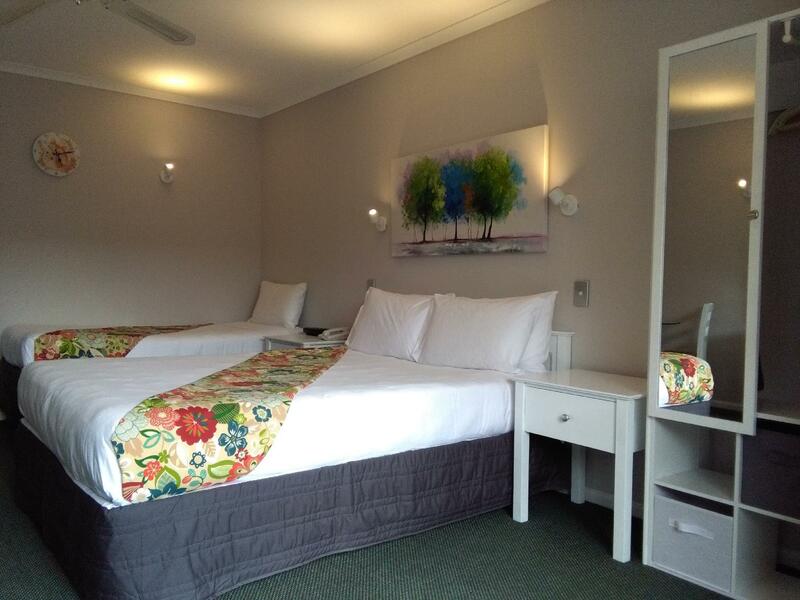 Located just beside the lake with a fantastic view, clean rooms and attentive staff. The room was differ from description, the number of bed provided did not match.and the motel-keeper was so suspect his guests. My friend in Taupo dropped off and picked up us at the motel. The motel-keeper kept coming to us and repeating if we let our friend to stayover he will charge on us, even though we tried to explain our friend LIVED in Taupo and was NOT staying with us. He sounded like we were going to hind extra guests behind him. Very bad experience! What kind of motel-keeper would keep coming again and again to annoy your guests? 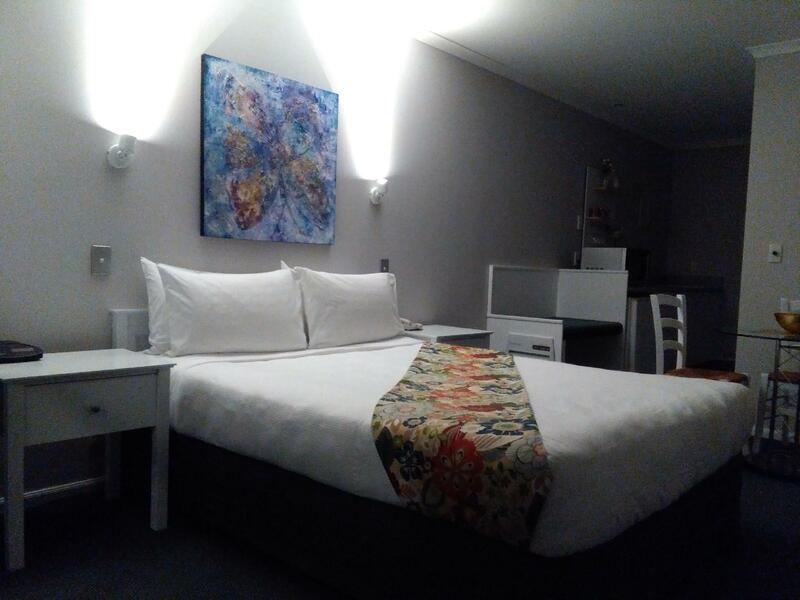 when we book the room online, it stated that the room can accomodate 2-3 adults. but on registration, we were charged an extra nzd40 for 2 nights because there were 3 of us (2 adults and child of 15yrs). we were unhappy with the extra charge because the room is small and it's quite a long walk to town abt 2km. otherwise it was clean and has basic minimum facilities. we had a good stay here, it was sold on agoda with complimentary wifi however we were told on arrival that that had changed and we were now limited. seeings as we both have iphones and were staying 2 nights we asked if we could have 2 limited log ins. the guy runnning the place got a bit funny but didnt want to make a scene in front of another guest. overall a comfortable clean stay, a bit dissapointed with that particular incident and therefore wouldn't stay again. Thanks for a comfortable stay! Wish we could have stayed longer! lake taupo is picturesque and the hotel is right on the shore. the room and service were great but there is no air conditioner so hot days it rely on open windows. be careful though, other guests may be smoking on the shared balcony and your room can quickly fill with the smell of other people's smoke. On arrival the owner gave us the key and said the room was round the back and up the stairs. There was no offer of assistance at all.The first morning we were woken at 6am by the radio alarm blaring out from the room next door. When we told him about it he didn't apologise, just said that there was nobody in there and the alarm had been set by mistake. Next morning - exactly the same thing! I used the phone and he came and turned the thing off. Again, no apology. When we checked out all he did was take the key from me, no asking if we had enjoyed our stay. This is my second stay at Colonial, still very satisfying stay. Love the big bed, the big bath tub and the location is perfect. Close to the restaurants and shops which is why I love to stay there. also walking distance from the lake so I could take a walk in the morning. cant wait to spend more time there when I have time. beatiful motel, set in a beautiful setting and manned by staff who made you feel really welcomed. our room was on the first floor and we had to drag our bags up the stairs. 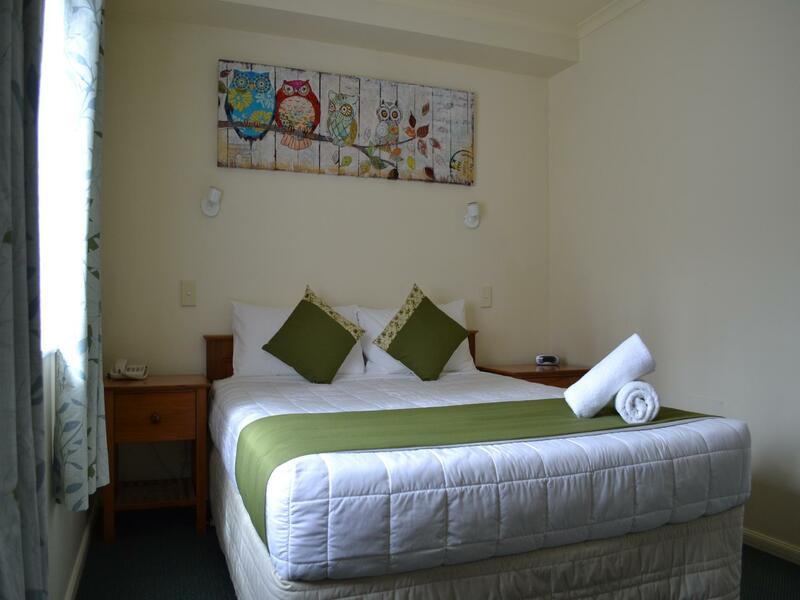 Nice clean centrally located motel, nice reception staff, good quality good size Plasma TV and nice spa bath.